Busbud makes bus travel easy. By connecting travellers to bus operators, Busbud makes it a breeze to find and book city-to-city bus tickets, all around the world. Busbud.com and the free mobile application are the most comprehensive source of city-to-city bus schedules and tickets around the world, gathering schedules for over 10463 cities in 89 countries, in 10 languages and 20 currencies. Busbud is a bus aggregator, which we all need more in our lives, because it doesn't always make sense to fly, train, drive or whatever. Montreal-based travel booking platform Busbud has closed an $11M Series B round led by iNovia Capital. New investors backing the company include Teralys,.. The Montreal chapter of the Founder Institute, the world’s largest early-stage accelerator and launch program, is looking for applicants for its fourth cohort. Why Nudge.ai? Reach out to the decision makers at Busbud with a personalized email - let them know that you found their recent news mention interesting. Nudge.ai’s relationship intelligence platform can help you find the right executive to reach out to at Busbud, such as LP Maurice, CEO and Co-Founder, or David Burridge, VP Finance. Then get in touch and start a conversation. Executives can be difficult to reach, but every company has connectors who bring together people and ideas. At Busbud, people like LP Maurice, and Thomas Geissmann are likely connectors. When Busbud is mentioned in the news, Nudge.ai often sees topics like Community, and Startup. If your conversation focuses on these topics, you’ll probably get Busbud’s attention. When Busbud is mentioned in the news, companies such as Accelerator Centre, Invest Ottawa, and Sun Life Financial USA are often also mentioned. These companies can serve as customer examples. Employees who are often in the news are usually open to starting conversations or exploring ideas. Nudge.ai's sales AI saw LP Maurice, Gaël Meagher, and Michael Gradek from Busbud recently mentioned in the news. 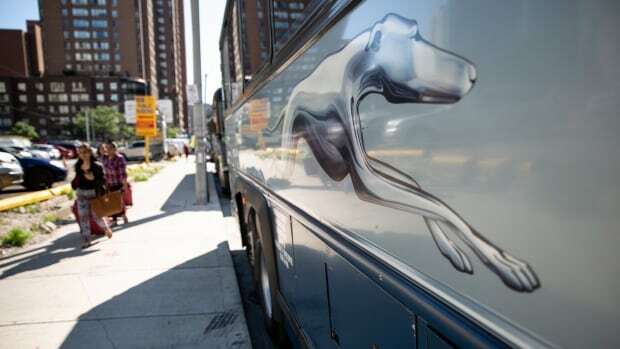 While Canadian bus companies have said they could fill some of the transportation gaps that will be left when Greyhound ends its service in Western Canada, it will not be enough to meet the needs of commuters who had relied on the national carrier. Montreal’s veteran and aspiring product managers gathered for ProductTank #11 to share tips on getting through the first few months in a new role or company. Who in your network can introduce you to Busbud? Nudge.ai finds the best pathway to reach contacts at this company.